He also wrote and published his 1999 book on the basics of index funds (Index Mutual Funds: How to Simplify Your Financial Life and Beat the Pros). 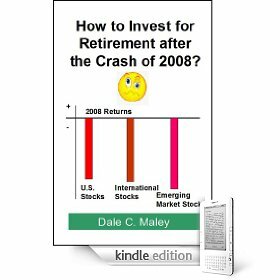 Dale started writing short stories covering many different investing topics. These short stories were initially sold for $0.49 each under Amazon's program called Amazon Shorts. The covered quite a range of financial topics including estate planning, annuities, savings behavior, behavioral finance, etc. Dale's Amazon Shorts stories were very popular and many copies were sold under this program. Without explanation, Amazon stopped accepting new short stories under this program. Dale converted all his short stories to Amazon's Kindle electronic reader format. In June of 2010, Amazon removed from sale over 2,000 short stories under the Shorts program, including roughly 20 of Dale's stories. All of Dale's short stories are still available as Kindle electronic short stories on Amazon. If you don't have a Kindle, you can download a Kindle for PC reader which lets you read Kindle stories on your PC. Dale is also making all of his short stories available to Sony and Ipod/Ipad users through the SmashWords.com web site program. 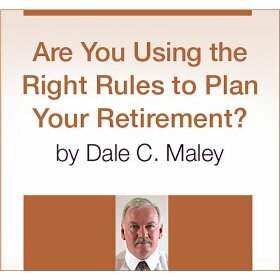 In 2009, Dale was a contributing author to Chapter 18 of The Bogleheads Guide to Retirement Planning. All of these book sales proceeds go to Jack Bogle's favorite charity, The Constitution Center. If you are interested in one of the short stories below, just click on the book cover and it will take you to Amazon. I have been studying the subject of asset allocation the last few years. I have found asset allocation to be a fascinating subject because it combines the subject of rational financial planning with the sometimes irrational behaviors of people. 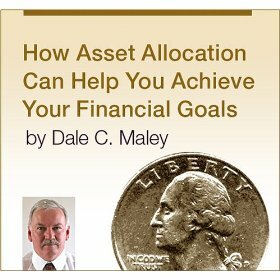 I hope that my findings help people better understand the subject of asset allocation and how it can help them achieve their personal financial goals. I have been studying the subject of index funds for the last 16 years. My conclusion is that 98% of investors have the best chance of achieving their financial goals by using ETFs and index funds versus picking common stocks or actively managed mutual funds. My conclusion is backed by such famous investment professionals as John Bogle, founds of Vanguard, and Warren Buffett the best investor of all time. 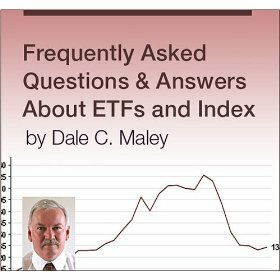 I hope my findings help people better understand the subject of ETFs and index funds as well as how to use them to achieve their personal financial goals. The last few years I have been exploring why people don't save enough for retirement. I have found this area of personal finance to have many fascinating theories why people don't save and invest. I have also found some proven techniques for people to use to increase their savings rate. 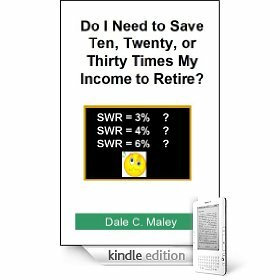 I hope my findings help people better understand why we don't save and how they can utilize this knowledge to increase their retirement savings. Are You Using the Right Rules to Plan Your Retirement? I have been studying how to properly plan for both the accumulation and distribution financial phases of life over the last few years. There has been some revolutionary changes in how to properly plan for retirement so you don't outlive your money. I hope that my findings help people better understand financial planning and how to use the right tools and rules to properly plan for their retirement. I have been studying the subject of Behavioral Finance the last few years. I have found Behavioral Finance to be a fascinating field because it attempts to explain why humans do not always act in a rational manner in their financial matters. 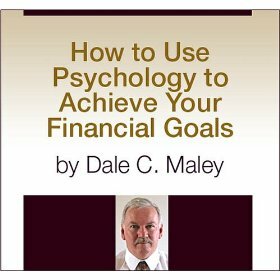 I hope that my findings help people better understand the field of Behavioral Finance and how it can help them to achieve their personal financial goals. I have been studying the subject of retirement planning the last few years. I wanted to explore if immediate annuities can play an important role in retirement planning. I have found that in some circumstances, immediate annuities can be an important retirement planning tool. 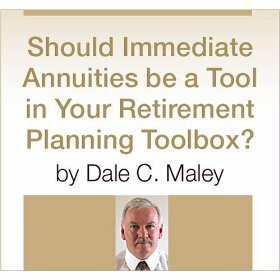 I hope that my findings help people better understand immediate annuities and their use as a tool in their retirement planning toolbox. 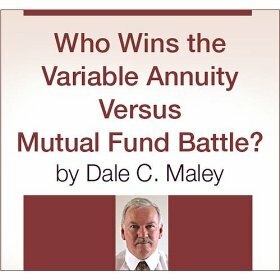 Who Wins the Variable Annuity Versus Mutual Fund Battle? 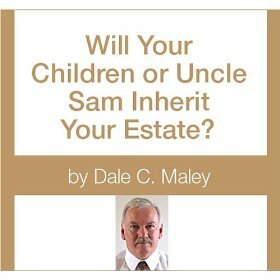 Will Your Children or Uncle Sam Inherit Your Estate? The number of millionaires in the U.S. recently hit an all time high with 8% of American households achieving millionaire status. The number of millionaire households will continue to increase as Baby Boomers save for retirement. Many people will accumulate significant size estates that they would like to pass along to their children. Unfortunately, Uncle Sam will be waiting to take up to 55% of these hard earned estates. This short story explores how to leave your hard earned estate to your children instead of to Uncle Sam. 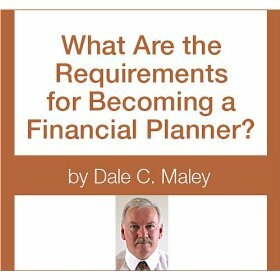 What Are the Requirements for Becoming a Financial Planner? I recently completed the steps required to become a Registered Investment Adviser. I found the process confusing because the process steps were not clearly identified. With the first of the 67 million Baby Boomers starting to hit age 65 in 2011, there is and will be a tremendous need for financial advisers. I want to share my Lessons Learned achieving legal status as a Registered Investment Adviser to make it easier for other people to also become financial planners. 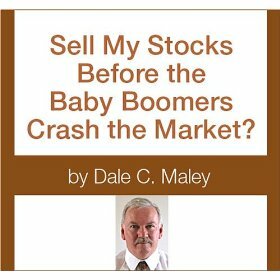 Will the impending retirement of the 67 million Baby Boomers crash the U.S. stock market? Many people predict a huge stock market crash when this massive wave of people retire and sell their stocks to provide living expenses for retirement. This short story explores the retirement of the Baby Boomers and predicts how their retirement will impact the U.S. stock market. Many people are wondering if they are saving enough for retirement. Younger people want to know how much they need to save for retirement. Those people close to retirement want to know if they have already saved enough to retire. This story identifies the basic retirement planning process with specific examples of four different groups of people. This story allows you to determine if your retirement plan is on track, and how to get it back on track if necessary. 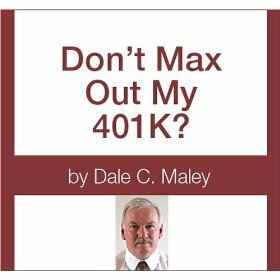 Don't Max Out My 401K? Contributing the maximum amount to your 401K has become the “holy grail” of the financial services industry. I recently came across several studies which suggest that maxing out your 401K may not be the best strategy for everyone. One study suggested that lower and medium income people should not max out their 401K's due to excessive taxes on Social Security income during retirement. Another study suggested that if you are within 10 years of years of retirement, you should also not max out your 401K. This story explores the issue of whether or not you should max out your 401K. The last few years I have been exploring all aspects of retirement planning. One area that has intrigued me is reverse mortgages and the Baby Boomers. 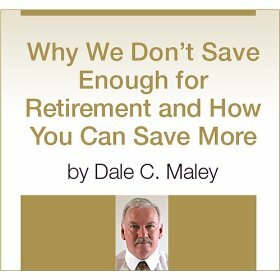 Many respected studies indicate that up to half of the 67 million Baby Boomer generation have not saved enough for retirement. 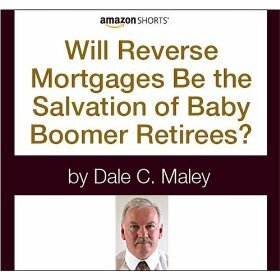 Many academic studies are already assuming that up to half of the Baby Boomers will utilize reverse mortgages to increase their retirement income. This short story explores the pros and cons of utilizing reverse mortgages to boost retirement income. The last few years I have been exploring all aspects of retirement planning. One area that has intrigued me is how people can find good financial planners. The 67 million Baby Boomers start to turn 62 in 2008. Most of these Boomers will need financial planning help to determine when they can retire. They will also need help in establishing a cash stream to support them during retirement. Most Boomers will need estate planning assistance as well. This short story thoroughly explores and determines how you can find a good financial planner. Do I Need Ten, Twenty, or Thirty Times My Income to Retire? The last few years I have been exploring all aspects of retirement planning. One area that has intrigued me is how to determine if you have saved enough to retire. The 67 million Baby Boomers start to turn 62 in 2008 and they need to determine if they have saved enough to retire. Determining if you have saved enough to retire turns out to be more of an art than a science. 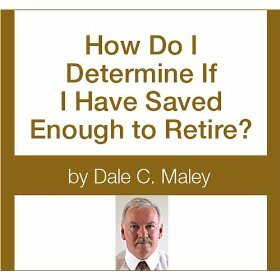 This short story explores the pros and cons of utilizing the conventional rules for determining if you have saved enough to retire. 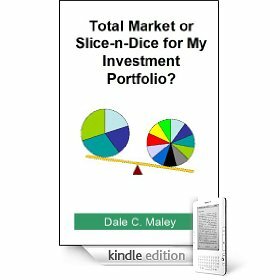 Total Market or Slice-n-Dice for My Investment Portfolio? The last few years I have been exploring many aspects of investing. One area that has intrigued me is how to develop the best asset allocation for your portfolio. In this story, I perform an analysis to determine which asset allocation strategies performed the best over the seven year 2000-2006 time period and the longer thirty-four year period from 1972-2006. Hopefully the results of my analysis will help people choose the best asset allocation for their own portfolios. This short story also tells people how to have their asset allocation strategy reviewed by some very knowledgeable experts free of charge. What Safety Factor Are You Using for Your Retirement Plan? The last few years I have been exploring all aspects of retirement planning. As I approach retirement myself from my first job, I'm beginning to try to determine when I can retire. Being trained as an Engineer and having an MBA, I'm used to applying design safety factors and using sensitivity studies in business plans. I'm shocked that in the world of retirement planning, almost nobody mentions the use of safety factors. This short story explores the concept of safety factors and its application to retirement planning. 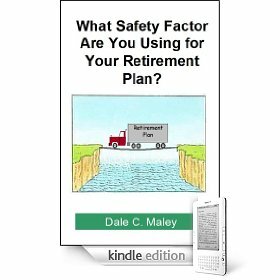 It shows how you can apply the safety factor concept to your retirement planning. The last few years I have been exploring many aspects of investing. 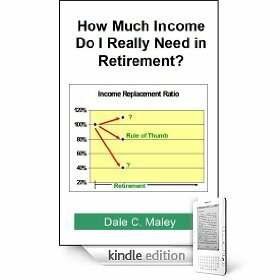 One area that has intrigued me is how to determine the amount of income you will need in retirement. Financial planners use a rule-of-thumb that suggests you will need 70% to 80% of your pre-retirement income. In this story, I examine this rule-of-thumb and apply it to four fictitious families. Hopefully the results of my analysis will help people better understand the pros and cons of using the 80% rule-of-thumb. This story should also help people better estimate their retirement income needs. The sub-prime fiasco of 2008 has resulted in the near collapse of the world-wide financial system. 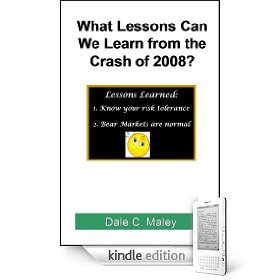 This short story examines the lessons that can be learned from the Crash of 2008. It also suggests how to become a better investor based upon these lessons learned. In the years immediately preceding 2008, the rage in financial planning was diversification. By not putting all your eggs into one basket, some asset classes would do poorly.......but other asset classes would do well. The theory was that investors should find asset classes which are not correlated to each other. The financial planning industry and Wall Street advocated investing in many asset classes including diversified U.S. stocks, diversified developed international stocks, emerging market stocks, commodities, timber, and bonds. Unfortunately, in the Crash of 2008, all asset classes suffered dramatic declines except cash and bonds. Except for cash and bonds, the correlation differences between all other asset classes disappeared.....and their correlation became the same (correlation = 1.0). The U.S. stock market suffered a 37 percent decline (as measured by the S&P 500) and both international stocks and emerging market stocks declined even more. Many investors who had 70% to 90% percent of their retirement portfolio in stocks, were devastated. Many have delayed their plans for starting retirement. Many have simply given up on investing and figure they will work until they die. Going forwards, fear of another Crash has left many investors in a quandary in regards of how to achieve retirement. This short story explores several techniques that investors can use to revise how they save and invest for retirement. There are at least five alternative methodologies people can use to plan for retirement. The first method is to use simple rules of thumb which can be applied using just "the back of an envelope" with a calculator or possibly a very simple spreadsheet. The advantage of this methodology is its simplicity and ease of calculation. The disadvantage of this methodology is loss of accuracy due to the reliance on rules-of-thumb. A second method is to construct a fairly sophisticated spreadsheet adapted to that family's specific financial conditions. This spreadsheet can use Monte Carlo methods to assess the impact of low stock market returns early in the retirement period. The advantage of this method is that accuracy can be increased because it does not rely on broad rules of thumb. The disadvantage of this method is that the spreadsheet creator has to be fairly knowledgeable in both spreadsheet modeling and financial concepts. 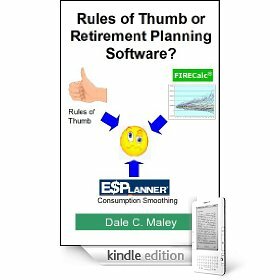 A third method is to simply use one of the many online retirement planning calculators. The advantage of this method is that it is quick and easy. The disadvantage is that the calculator user might not understand how the calculator works and may not input the correct data. The design of the online calculator could be flawed as well. A typical free online calculator that is well regarded by many users is FIRECalc. A fourth method is to use a calculator based upon the theory of consumption smoothing like ESPlanner. The theory of consumption smoothing assumes that people want to have a level standard of living before and after retirement. The advantage of this type of software is more accuracy because of forcing the user to provide more correct inputs and accounting for taxes and Social Security in retirement. The disadvantage is that it takes quite a bit of time to gather the data and enter the required inputs. Another disadvantage is that until recently, the cost of ESPlanner is $200 plus $50 per year for updates. In April 2009, ESPlanner started offering a free basic version of the software. A fifth option would be to hire a financial planner to perform the retirement calculations for you. If you are interested in this option, see my Amazon short story How to Find a Good Financial Planner. One way to demonstrate the strengths and weaknesses of these various approaches is to apply them to fictitious situations. One typical situation would be someone who is ready to start retirement now at age 63. Another situation might be a couple who want to retire early at age 54. A third situation might be a couple with children in their mid forties who want to retire at age 62. The methodology of preparing elaborate custom spreadsheets for these three situation is beyond the scope of this short story. This short story uses three methodologies to examine the situation of our three fictitious couples: "back of the envelope", FIRECalc online calculator, and the free basic version of ESPlanner. This short story illustrates utilizing three different retirement methodologies to develop retirement plans for three different couples. The results should help people get a better feel for how they can plan their own retirement. After the Crash of 2008, many investors are choosing to lower their portfolio risk. They are lowering their risk by decreasing the amount of stocks and increasing the amount of bonds in their portfolio. Tax free municipal bonds can be an attractive alternative to taxable bonds for several reasons. Some investors don't have room in their retirement accounts for their entire bond investments. Rather than placing bonds in their taxable account, these investors can increase their after-tax return by using municipal bonds. Investors who live in high tax states and have relatively high adjusted gross incomes can increase their after-tax returns by using municipal versus taxable bond funds. This short story explores the use of municipal bonds. 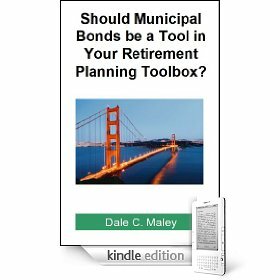 It includes four example cases to illustrate how to determine if municipal bonds are better than taxable bond funds. This short story will help investors to better understand how to optimize their retirement portfolio. Traditional retirement portfolios are comprised of stocks and bonds. The retiree can only withdraw a maximum of an inflation adjusted 4% of the portfolio each year of retirement. In 1997, the U.S. Government introduced Treasury Inflation Protected securities, or TIPs. This short story explores the feasibility of utilizing a retirement portfolio comprised 100% of individual laddered TIPS bonds. This story explains the pros and cons of utilizing a 100% TIPs retirement portfolio. If an investor desires a portfolio with 50% stocks and 50% bonds, over long time periods it is likely this original asset allocation will drift to a higher percentage of stocks and a lower percentage of bounds. Current popular financial planning guidelines suggest the investor should adjust or rebalance the portfolio back to the original asset allocation on some calendar basis (typically annually). Rebalancing requires effort to determine the optimum methodology for rebalancing. It also involves trading costs and potential tax costs. My goal is to explore the history of rebalancing and then determine if rebalancing is really worth it for the average investor. Unfortunately, our U.S. educational system teaches Americans nothing about investing. Many people struggle for years to develop an optimum investment plan. This short story recounts the author's journey to a diversified portfolio of low-cost index funds. I hope the story of my journey to a diversified portfolio of low cost index funds will inspire other investors to further explore the advantages of index fund investing.